Nationality: British. Born: Leicester, Great Britain, 20 June 1941. Education: Studied law at Cambridge University, 1960–63. Career: Assistant at the Royal Court Theatre, 1964; assistant on films, from 1966; directed first film, 1967; director and producer for TV, from 1969, including Me! I'm Afraid of Virginia Woolf (series of plays by Alan Bennett, 1978) and Walter for Channel 4, 1982; also director of TV commercials. Awards: People's Choice Award, Toronto International Film Festival, for The Snapper , 1993; Douglas Sirk Award, FilmFest Hamburg (Germany), 1996; César Award for Best Foreign Film, for Dangerous Liaisons , 1988; Berlinale Camera, Berlin International Film Festival, 1989; Bodil Award for Best American Film, for Dangerous Liaisons , 1990; Silver Berlin Bear, Berlin International Film Festival, for The Hi-Lo Country , 1999. Drawings by Film Directors: Diary Agenda 1995 , New York, 1994. Typically British: A Short History of the Cinema in Britain (with Charles Barr), London, 1994. Interview in Time Out (London), 10 November 1983. Interview with P. Merigeau and F. Guerif, in Revue du Cinéma (Paris), November 1984. "Sheer Frears," an interview with J. Saynor, in Stills (London), November 1985. Interview with Harlan Kennedy, in Film Comment (New York), March/April 1987. Interview in Inter/View (New York), April 1987. Interview with K.M. Chanko, in Films in Review (New York), October 1987. American Film (Washington, D.C.), December 1988. Interview with H. Merrick, in Revue du Cinéma (Paris), January 1991. Interview with L. Vincenzi, in Millimeter , February 1991. Interview with K. Vandemaele, in Skoop , April 1991. "One Foot in Hollywood," interview with Ralph Rugoff, in Vogue , October 1992. "Keeping His Own Voice: An Interview with Stephen Frears," Post Script , vol. 11, no. 3, 1992. "Rolling in the Isles," interview with Gregg Kilday, in Entertainment Weekly , 28 January 1994. "Song of Experience: Stephen Frears," in Monthly Film Bulletin (London), May 1987. "Stephen Frears Section" of Positif (Paris), November 1987. Hunter, Mark, "Marquise de Merteiul and Comte de Valmont Get Laid," in American Film , December 1988. Lindsey, Robert, "The Dangerous Leap of Stephen Frears," in New York Times Magazine , December 18, 1988. Dancyger, K., "The Bigger Picture: A Consideration of the Influence of Journalism and Theatre on the Feature–Length Screenplay," in Journal of Film and Video , vol. 42, no. 3, 1990. McDonagh, Maitland, "Straight to Hell," in Film Comment (New York), November/December 1990. Merrick, H., "Un realisateur en liberte," in Revue du Cinéma (Paris), January 1991. Quart, L., "The Politics of Irony: The Frears-Kureishi Films," in Film Criticism , vol. 16, no. 1/2, 1991/92. Regosa, M., "Stephen Frears e la fenomenologia del politico," in Cinema Nuovo , May/June 1992. Joshel, S.R., "Fatal Liaisons and Dangerous Attraction: The Destruction of Feminist Voices," in Journal of Popular Culture , vol. 26, no. 3, 1992. Saynor, J., "Accidental Auteur," in Sight and Sound , April 1993. 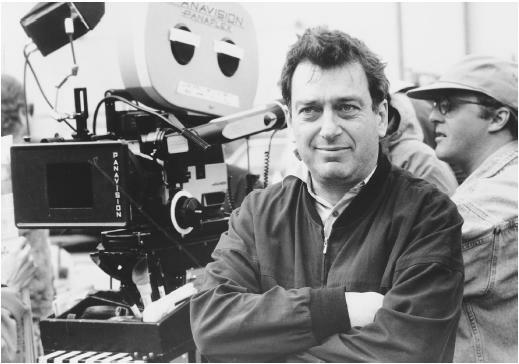 Like so many of his contemporaries in the British cinema, Stephen Frears began his directorial career in television, making dramas for the BBC and its commercial rival Channel 4. He has continued to bounce back and forth between film and television ever since. He first came to the moviegoing public's notice as the director of 1971's Gumshoe , a whimsical nod to American films noir of the 1940s that was laced with parodic, self-reflexive overtones. The comedy/drama starred Albert Finney—as a down-at-the-heel vaudevillian who, influenced by seeing too many Bogart movies, turns private eye to improve his fortunes—and Billie Whitelaw. It also had a music score by a then comparatively unknown Andrew Lloyd Webber. A gentle, unassuming film, it has its adherents, but is an all but forgotten part of Frears's filmography. During the 1980s, though, Frears directed a blistering series of features that established him as one of the more important British directors of the period. The breakthrough film was My Beautiful Laundrette , a movie partly funded by Channel 4 TV that also launched Daniel Day Lewis as an actor, brought Shirley Anne Field (a fixture of British New Wave cinema of the 1960s) back to the screen, and gave the screenwriter Hanif Kureishi his first substantial hit. Before My Beautiful Laundrette put Frears on the map, however, Frears made The Hit . It had a great cast (John Hurt, Terence Stamp, and Fernando Rey), and told the story of a small-time hood named Willie Parker (Stamp) who informs upon his partners-in-crime. Ten years later, he suddenly finds that his long-time hiding place has been discovered by his former associates who have put out a contract to have him terminated for squealing on them. Eric Clapton wrote the theme song for the film. The Hit is tense, well acted, and has an authentic air of despair and failure in its tightly constructed visuals, yet at the same time it manages to be quite funny. It reminds one of the Hammer psychological thrillers of the early 1960s, in which Jimmy Sangster's scripts kept the audience guessing throughout; despite its failure to catch on (good reviews notwithstanding), it stands up well against more celebrated works in the British crime film genre, such as The Long Good Friday. But then came My Beautiful Laundrette , which took Frears out of the grind of ordinary television production and genre films, and afforded him a more luxurious canvas with which to work. Nevertheless, it is clear that his years in television and genre films, which requires working at a fast pace, prepared him for this moment by enabling him to wring every last value out of the film's minimal funding. A titillating, cheaply exotic, and yet deeply romantic film, Laundrette is set firmly in the world of 1980s London, a barren, Thatcherite landscape of failing businesses, exploited workers, and simmering racial tension. The love affair between Johnny (Day Lewis) and the Asian Omar crosses the "barrier" of the heterosexual ruling faction and serves as an "affront" to the rigid class and racial barriers of an England caught in the grip of a pervasive economic depression. The film's look is lush, multi-hued, and dreamy; it exists outside of time, as its protagonists most truly come to life outside the structures imposed upon them. With Laundrette , Frears aligned himself with a strong scenarist (Kureishi) who also sought to revitalize British cinema, and the iconic structures that had come to be taken as fixed points of reference in its landscape (Kureishi stated that one of his ambitions in writing the script for the film was to make a gay-themed British movie "without Dirk Bogarde"). A surprise "art house" hit in the United States, the film revived Frears's career as a director. He was thus able to plunge into a group of new works that consolidated his reputation. Sammy and Rosie Get Laid , another Kureishi script, was perhaps less successful than Laundrette , but it still did respectable business in the United States and Britain, and found several critical champions. Sammy and Rosie took the basic image of London in collapse posited in Laundrette several steps further. Sammy and Rosie is a clever reinterpretation of Godard's vision of the city-as-apocalypse, with a Buñuelian flair for surreal interruptions and a grimy look similar to that used by 1960s British directors like Tony Richardson and Karel Reisz. In the same year, Frears's Prick up Your Ears , an examination of the life of gay playwright Joe Orton, from an Alan Bennett screenplay, received substantial critical acclaim both in England and the United States. Frears's most successful and popular film up to that point, Dangerous Liaisons , owes a considerable stylistic debt to Roger Vadim's 1960 Les liaisons dangereuses , a modern-dress version of the same text by Laclos. Vadim's film featured Jeanne Moreau and Gerard Philipe; Frears's film, from a screenplay by Christopher Hampton, is anchored by the brilliant performances of Glenn Close and John Malkovich, and succeeds because of the sense of period verisimilitude it creates. Frears's camera seems almost a recording angel within the context of the film's narrative; it is omnipresent, but never oppressive, and maintains a discreet distance, except in the climactic dueling sequence. Dangerous Liaisons does not strive to be sumptuous; rather, it plants the characters firmly within the context of the decor, and lets them do their work. Malkovich, in particular, has never appeared to better advantage, and the final shot of Glenn Close, after having been scorned in public, wiping her evening's make-up off her face with brutal finality while regarding herself in her dressing room mirror, is one of the most despairingly triumphant moments in recent cinema history. Interestingly, Frears completely eschews the aggressive visual style of Laundrette and Sammy and Rosie in Dangerous Liaisons ; rather, his camera seems entirely at the service of the actors. He frames them in introductory wide-shots in the classical studio manner before going in for intimate close-ups. In this, the film is a double period piece, recreating the British studio system and its inherent dependence upon actors, as well as the eighteenth-century period in which the fictive text is set. Perhaps because of this double classicism, the film has proven to be Frears's most accessible and popularly praised work. Frears further consolidated his position in the cinema with The Grifters , his first film made in America. A noirish crime drama based on a novel by pulp fiction icon Jim Thompson, it featured Annette Bening, John Cusack, and Angelica Huston, and won critical and popular accolades all-around. After The Grifters, Frears switched gears with The Snapper , adapted from a novel by Roddy Doyle, the author of The Commitments —a book then successful film (by Alan Parker) to which The Snapper is a companion piece. It tells the story of a working-class family in Ireland (the same locale as The Commitments ). When its eldest daughter, who is unmarried, becomes pregnant, her relationship with her father is sorely tested. Made for British television but released theatrically in the U.S., the film is ultimately a warm portrait of family imperfections and loyalties. As is The Van , Frears's next film, made in 1996. Also based on novel by Roddy Doyle, it completed Doyle's Irish trilogy begun with The Commitments . The same year, Frears took over direction of the troubled production Mary Reilly , a distaff version of Dr. Jekyll and Mr. Hyde told from the perspective of the housekeeper (Julia Roberts) who works in Jekyll's (John Malkovich) home. The result, though visually impressive, was a ponderous period piece that collapsed under its own dreary weight at the box office despite the star power of Roberts in the title role. The Hero , an attempt by Frears at a Capraseque fantasy, was another misfire. Largely due to a charismatic lead performance by Woody Harrelson, Frears' modern-day western The Hi-Lo Country, based on a novel by Max Evans, clicked better with audiences and critics, though it lacks the grit that a Sam Peckinpah (who had long wanted to film Evans' novel himself) might have brought to it.